I’ve never been a massive fan of the Transformers franchise. From the cartoon to the incredibly popular toy series, right down to the occasionally entertaining Michael Bay adaptations, the idea of massive robots disguised as regular vehicles was always an uninteresting premise to me. 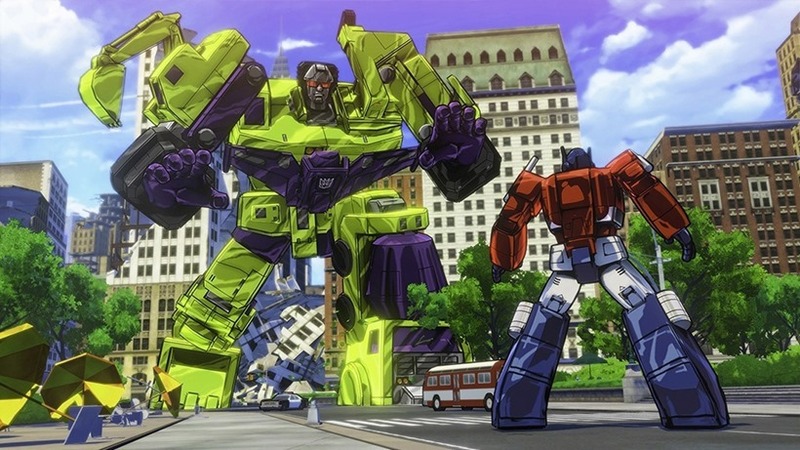 So it goes without saying that Transformers Devastation had a bit of an uphill battle trying to impress me last week at Gamescom. As it turns out, it doesn’t really matter what franchise is being adapted, so long as the game behind it maintains a really high standard of quality. The sort of standard you expect from hack and slash veterans Platinum Games. Director Kenji Saito (formerly director on Metal Gear Rising) was on hand to show off the colourful, brand new adaptation of the franchise that he and Activision are currently close to launching. Unlike the past few games, Devastation takes more hints from the classic cartoons rather than the films they inspired. Transformers themselves are colourful – with bold black outlines detailing the cel-shaded Autobots in more intricate ways than the show ever could. It gives the game a sense of identity, while also appeasing die-hard fans of the franchise that have been waiting for a true adaptation for years. The same can be said for each of the Transformers transformation animations (say that fast three times, why don’t you). Gone are the marvellous mechanical morphs, replaced with transformations that rekindled the love you may have had with the Hasbro toys of old. Platinum Games has paid a lot of attention to this – ensuring that they look faithful to the source material while also being fluid in combat. Because at the core, that’s what Devastation is. Strip away the Transformer branding and you’re still left with a lightning fast, responsive action game – or so my brief hands-on suggested. Taking control of Grimlock (because dinosaurs) I rampaged around tight streets in a vibrant metropolis, with Devastation keeping me on a strict path towards new enemies. As I progressed, the familiar bellow of Optimus Prime informed me of my objectives – with some of the original voice cast reprising their roles quite excellently. Combat itself combines a series of light and heavy attacks with Platinum’s signature design principles of dexterous timing and awareness. It feels decidedly weighty, with the large autonomous robots packing a massive wallop with every strike they deliver. Combos are the bread and butter of your arsenal, and again transformations come into play in an important way here. You are able to chain together strings of moves with a mid-combo transformation – which is prompted with a slight blue flash and followed by a swift morphing that doesn’t break the flow of your bout. Different transformations also open up different movesets for you to experiment with, encouraging me to switch between Grimlocks dinosaur and regular forms as much as I could. While I could always smack enemies in the face with my fists, it wasn’t nearly as satisfying and tearing them apart with my razor sharp teeth in robotic T-Rex mode – a primary reason for me choosing the character in the first place. The demo ended with a rather claustrophobic boss fight, which introduced a massive enemy for me to bring down in a tight space. This is, however, only one template Platinum is using for these epic clashes. 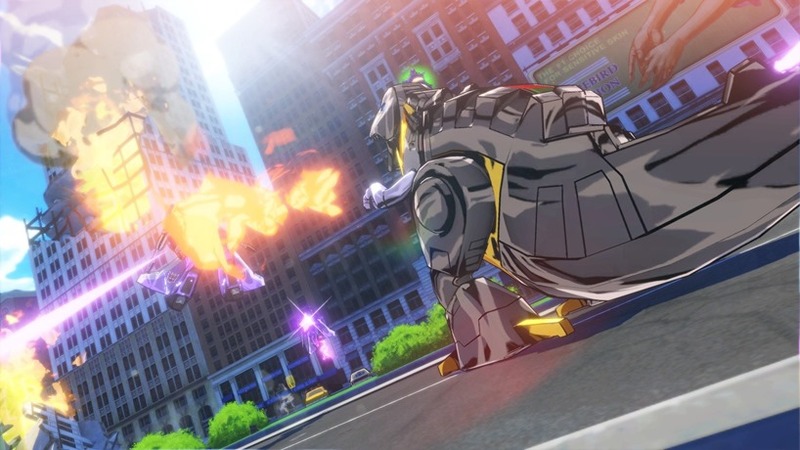 Earlier in the hands-off section, Saito demonstrated a boss fight that mimicked classic 2D shooters, while another against Shockwave threw clones and a massive Laser gun at the ever-ready Bumblebee. 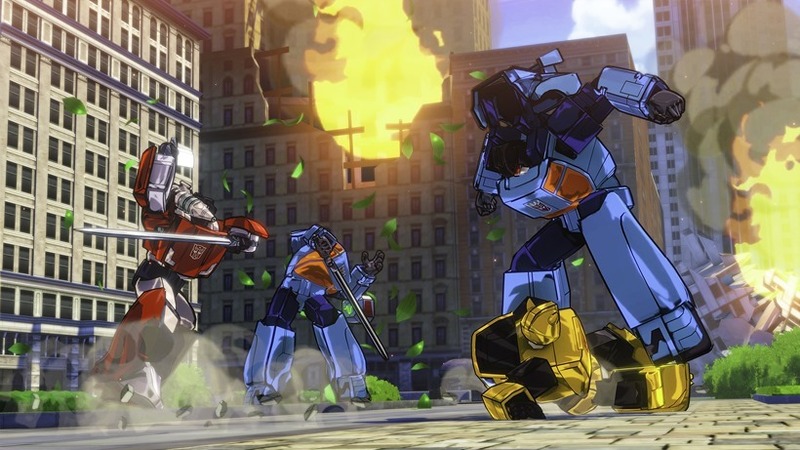 This was merely a small vertical slice of a bigger game that Platinum is soon launching, and one that got a far more invested Transformer fan in the room incredibly excited. I might not have shared the same nostalgia-kicking adrenaline during my time with the game, but I walked away pleasantly surprised at how accommodating it was with my inadequate universe knowledge. 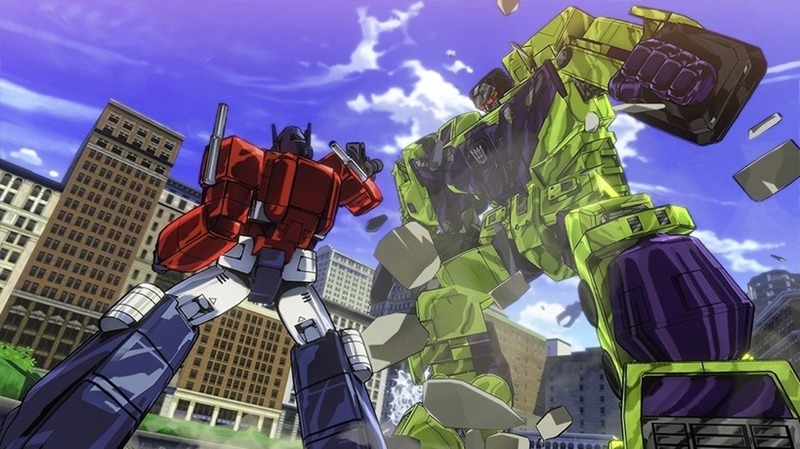 Transformers Devastation is shaping up to be the videogame the franchise has so long deserved, but I’m glad that it’s equally concerned with being a fantastic hack and slash too.